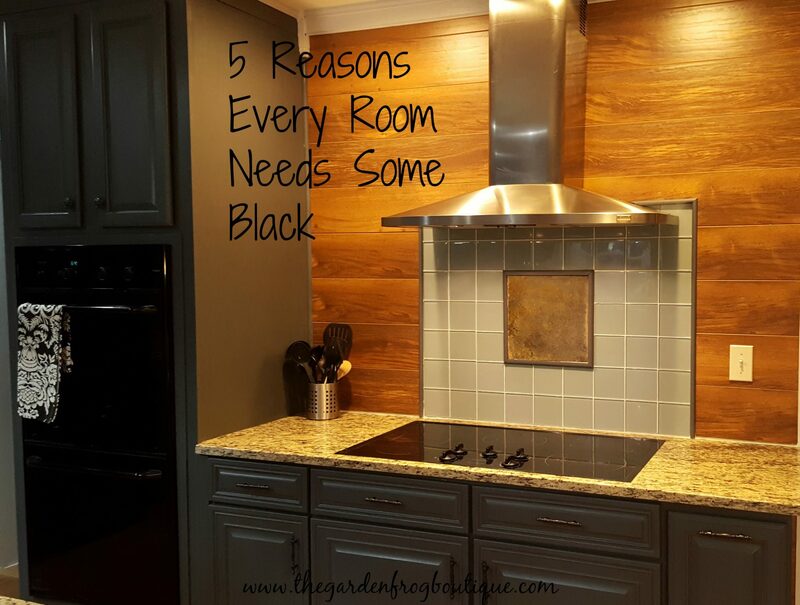 5 reasons why every room needs something black. 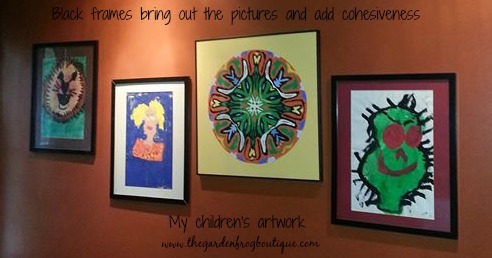 I learned this design trick over 20 years ago from a ‘mature’ interior designer who ran her own furniture and design store for many years. She would go on and on how every room needed something black to tie the room together. 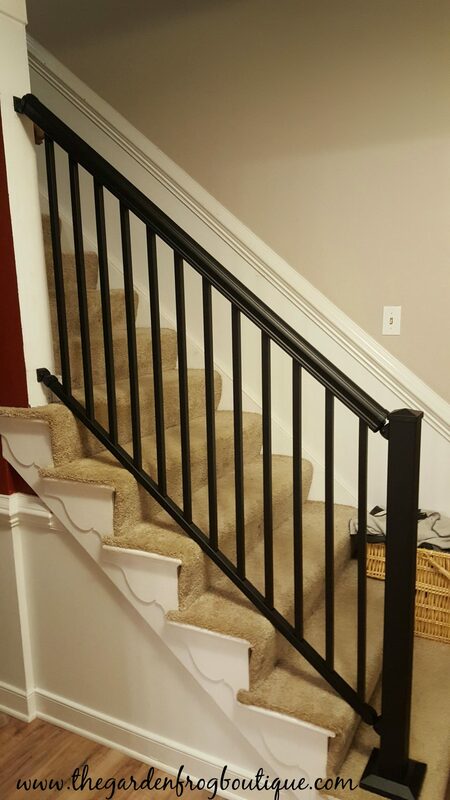 Black, she said, was a classic and timeless color that completes a room. From my own experiences, I find this true. There is nothing sleeker and cleaner than a wall lined with black frames or a kitchen with sleek black appliances. I love using black curtain rods and accessories to tie in the design of the room. Black goes with everything. Black is classic. We women always have that simple black dress for cocktail parties and events. Black is classic in a home too. Black just gives a room a bit of ‘class’. Black anchors a room. Black ties the design, furniture, and colors in a room together. Black goes with everything. Black is the combination of all colors and therefore can make that bright color pop or draw your attention to the detail in the accent wall. Either way, black makes all colors look good. Black gives a clean, sleek look to accessories, rods, and accents. Want to update a room? Or update that old lamp? Old candlesticks? Spray paint them black and put them back in the room for a quick update. Black curtain rods just look simple and elegant with simple sheers or beautiful fabric drapes. Black adds impact. 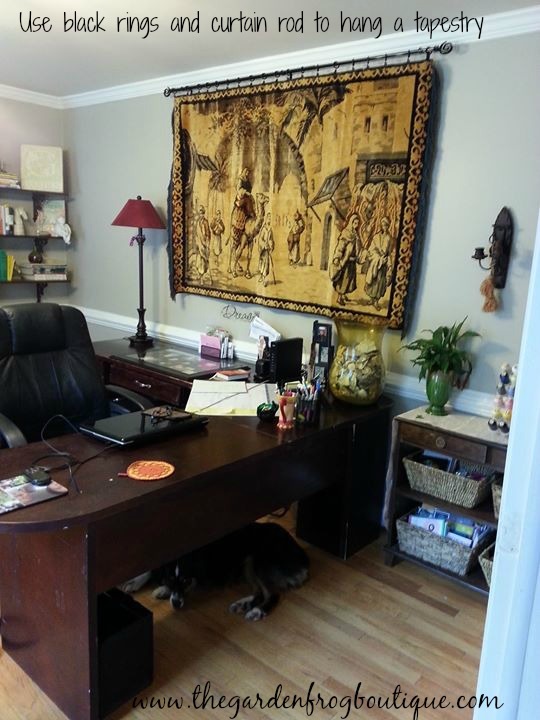 Want to take a room from ho-hum to fabulous? 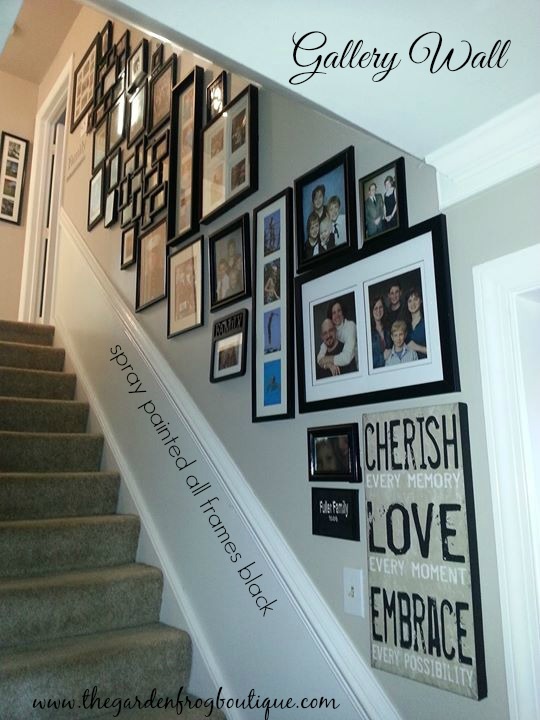 Paint an accent wall black. Afraid of that? 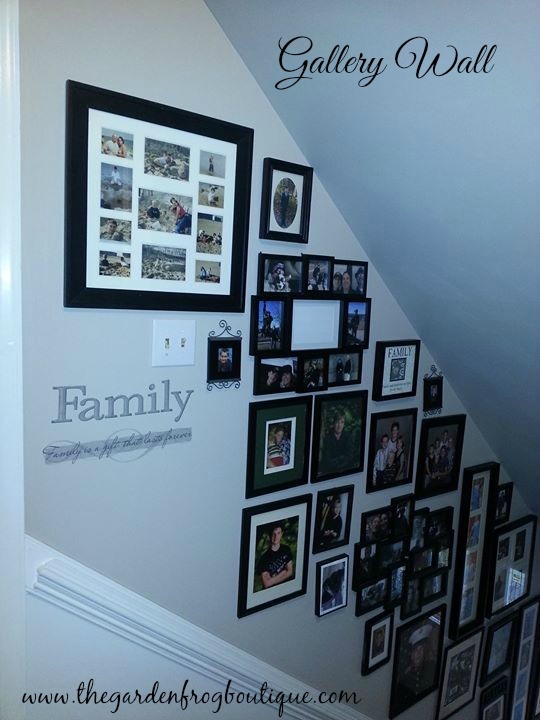 Then make a gallery wall of different frames and objects (spray frames and accessories black) and see how much impact this has on a boring staircase wall. 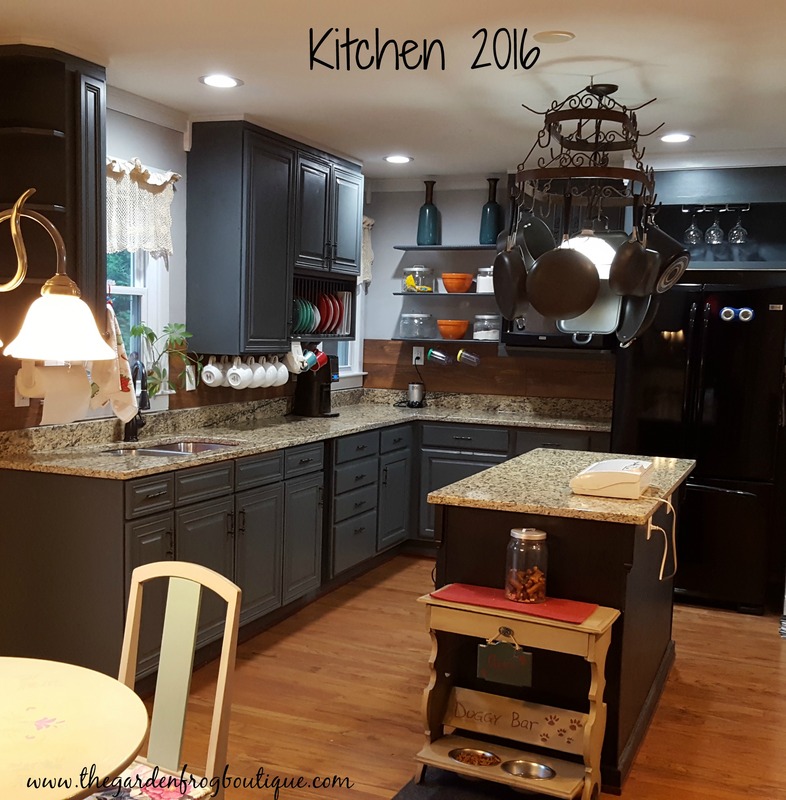 In a kitchen I have found that black appliances look sleek and go with any countertop, cabinet, or design. Black appliances do not clash with any colored small kitchen appliances or accessories- as a matter of fact, the black appliances won’t contrast with that funky old countertop you just cannot replace yet. Black is classic and I have followed this design rule for over 20 years. I go out to garage sales and pick up accessories just so I can spray paint them black! A few black pieces can make an impact when grouped together on a table or shelf. 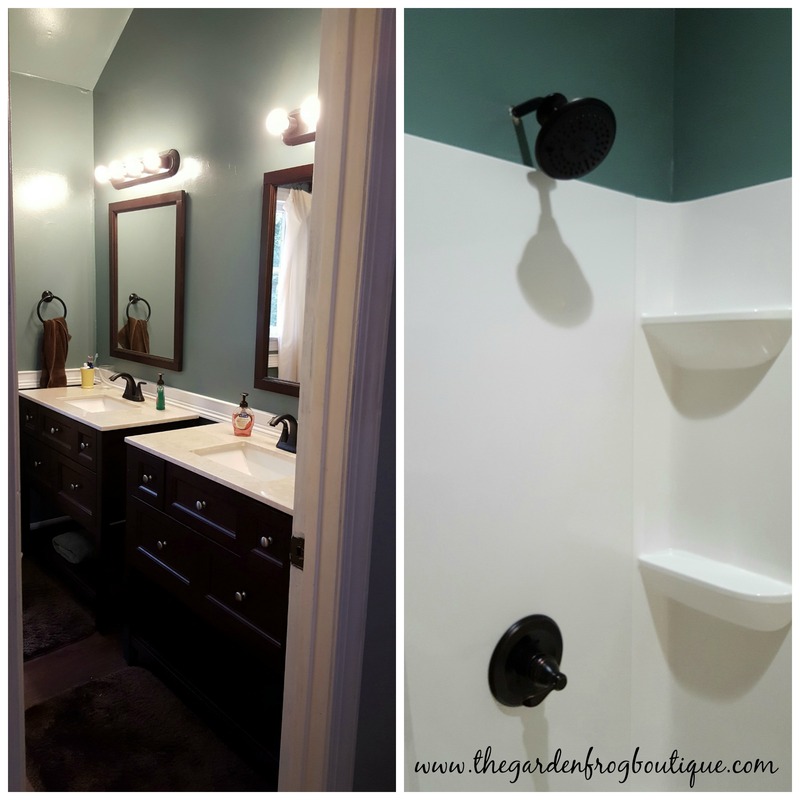 Do not be afraid to add black to your kitchen and bathrooms too! 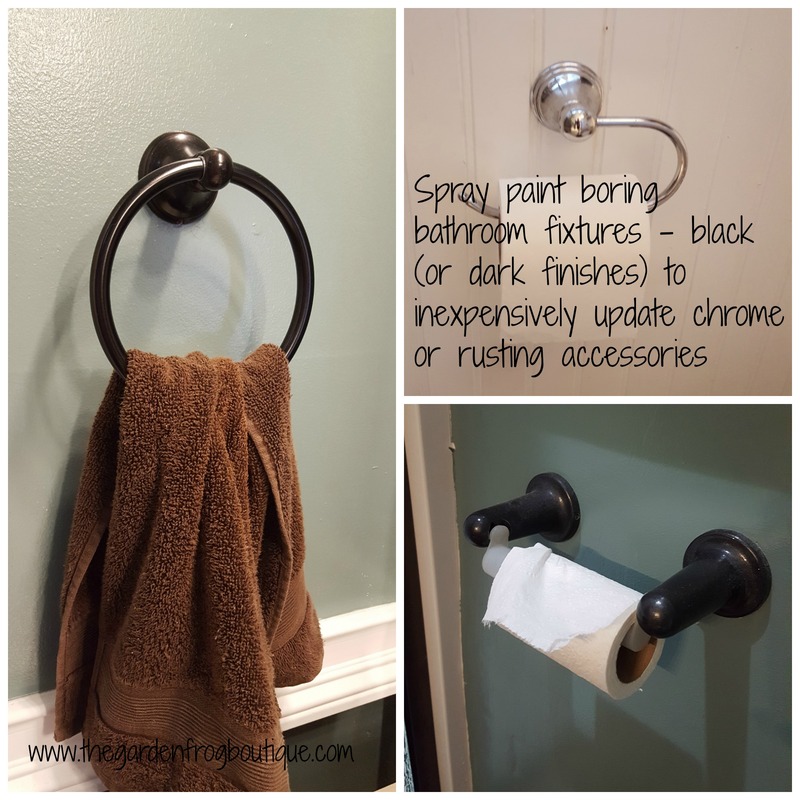 I am so glad when I gave up the chrome in the bathroom and spray painted my towel holders Rubbed Oil Bronze (by Rustoleum) to give modern updated look in the master bath. Thanks for stopping by and do not be afraid to think outside the box. In the future I hope to write more about using black and hope you will keep watching as I work on keeping it real in my home and garden.